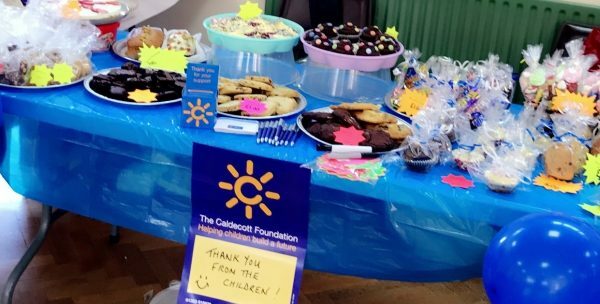 Young people and staff from the Caldecott Foundation’s houses in the East Midlands held a very successful bake sale this Bank Holiday weekend. With a mouth-watering array of home-made tasty sweet treats to choose from, the team hosted a stall at Retford Charter Day 2018 and raised a fabulous £180! The cash will go towards the appeal for a new Therapy Room for the Foundation’s Nottinghamshire houses. Amazing achievement guys – what brilliant bakers and fantastic fundraisers you are!